Discussion in 'Freebies / Giveaways' started by SEOUnity, Nov 11, 2015. 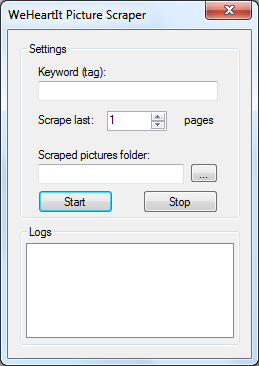 WeHeartIt Picture Scraper is a picture downloader for WeHeartIt based on keywords. 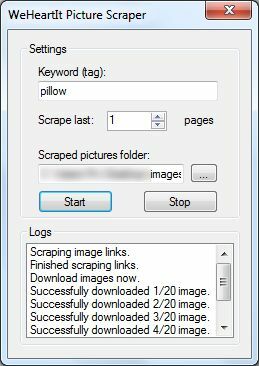 Type a keyword, choose how many pages to download and wait a few minutes.